Ufone has always been ahead when it comes to launch latest trends in technology. 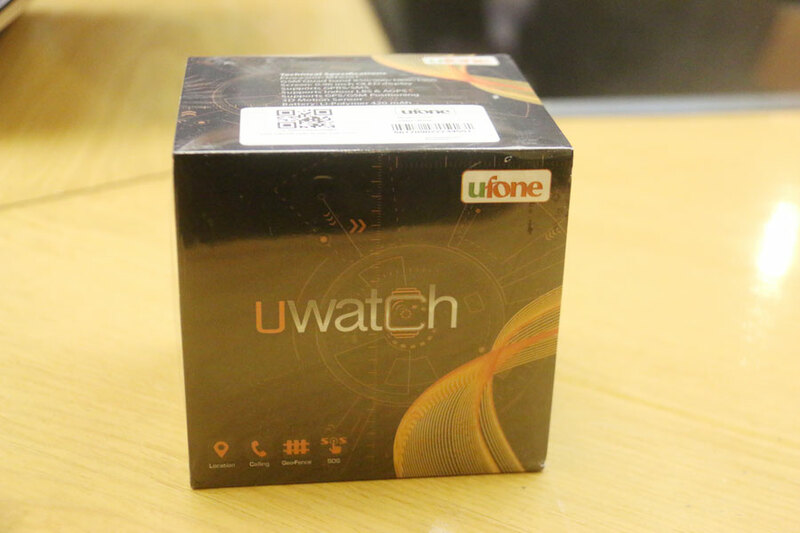 Keeping the same legacy, Ufone today introduced the first of its kind watch in Pakistan that will bring some peace of mind to the parents – the Uwatch. The main function of UWatch is to keep the kids and in connection with the parents. There were few similar gadgets available in the market but the difference between UWatch and those smart watches is that UWatch can work without a smartphone. UWatch is not only attractive and beautiful but also comes with a price tag which is easily affordable. You can get your UWatch for just Rs. 6,999 from any ufone customer service center. The UWatch keep parents updated about the real-time location of their kids with two-way calling functionality i.e. the parents can call UWatch and kid can dial parent’s mobile number from UWatch. In order to keep the UWatch from misuse, only three pre-defined numbers can be dialed from UWatch and only parents can change those numbers. UWatch cannot be switched off by the kid and you will be informed via SMS when the watch is removed. The UWatch comes with a customized app which will keep parents in control of the UWatch. From live monitoring of the location to setting up the safe/unsafe zones, this app provides a lot of functionalities and customizable UWacth experience according to the need of the situation. “We are proud to be the first telecom company in Pakistan to launch a breakthrough product like the UWatch and we are confident this will bring some much-needed relief to the parents.” Said Taimur Faiz Cheema, Ufone’s General Manager Marketing.